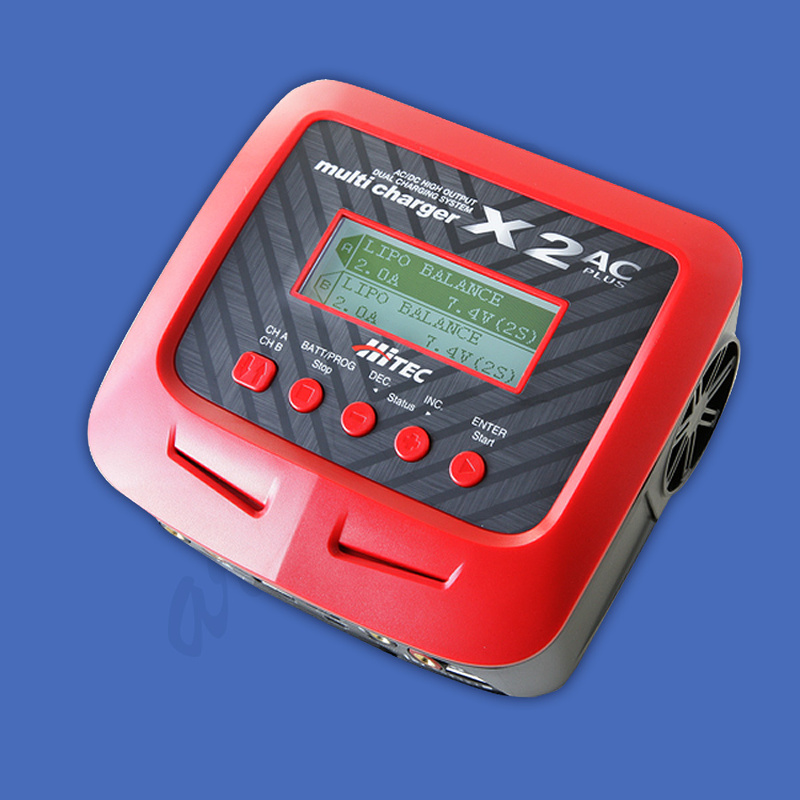 The X2 AC Plus charger offers expanded capacity and compatibility in a portable and compact package. Dual inputs afford flexible battery charging at home and in the field. And innovative power distribution mode lets you efficiently assign output power based on individual battery requirements. 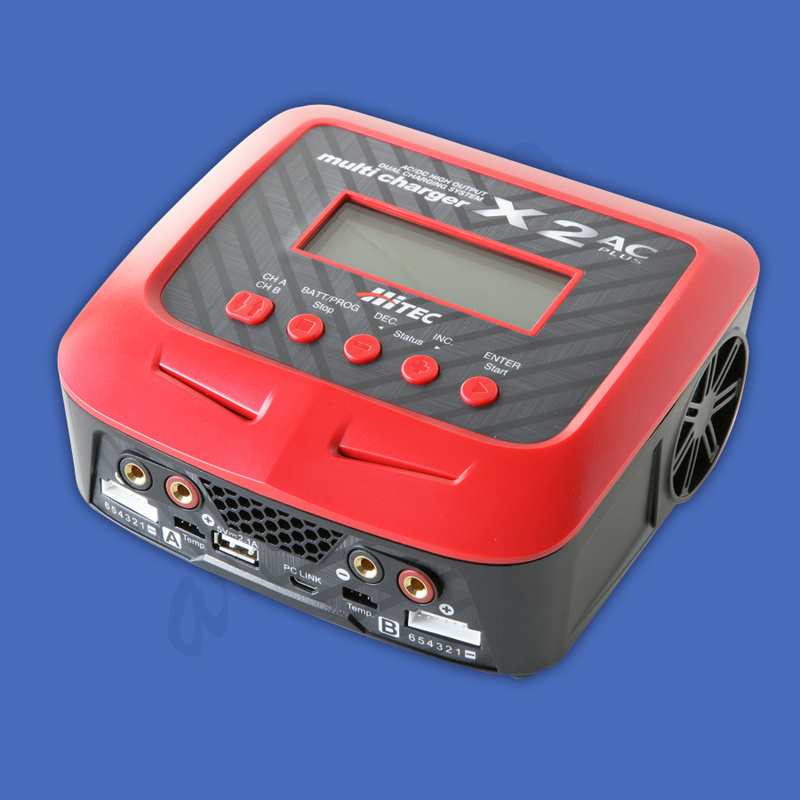 Capable of charging all battery chemistries, the X2 AC Plus has a built-in 10-amp power supply, internal balancing circuits and 10 different charge/discharge profiles, making it an essential tool for all hobbyists. You can even utilize your smartphone for remote control via an optional WiFi module. Hitec brings the future of charging to your fingertips! 6.42 x 6.02 x 2.83 in.